Everyone loves the thought of a country wedding, but have you ever considered using one of the many really cool venues in London? Why not tie the knot in a city brimming with quirky spaces, contemporary spaces and amazingly beautiful buildings? 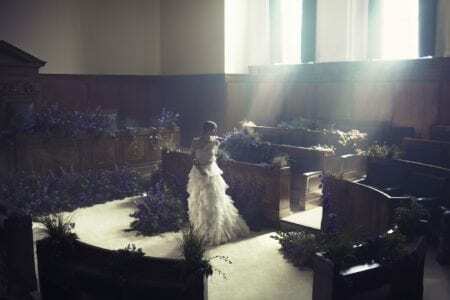 We know that finding the perfect wedding venue can be a daunting task, so with this in mind, we have put together a list of our top 10 favourite unusual London wedding venues. Just a stone’s throw from Hyde Park corner, One Belgravia provides a stunning backdrop for your special day, with the Grand Gallery even giving you amazing views of Buckingham Palace Gardens. You might even catch a glimpse of you know who! Up to 200 seated, 400 reception style. 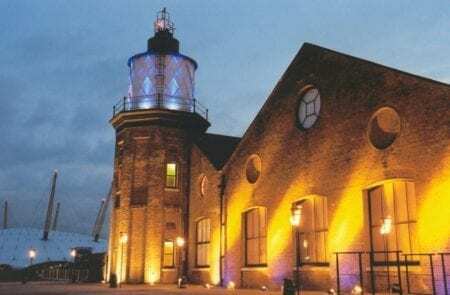 A truly unique venue located in Docklands, right by the Thames. The Chainstore, together with the lighthouse and riverside terrace is an historic warehouse and is available for dry hire, so you can do your own thing here. Capacity is 200-350 seated, 500 reception style. The Gherkin is simply stunning. Located on the top two floors of the building, with jaw dropping views across London, The Gherkin has to be one of the most impressive wedding venues in London. They can cater for elegant dinners for up to 140, and 260 for stylish standing receptions. 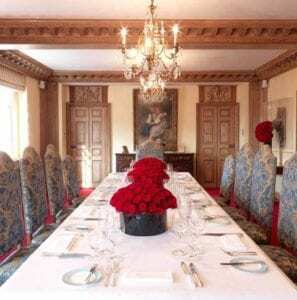 Don’t despair however, if your party is much smaller – they also have two contemporary private dining rooms which can accommodate up to 30 for a wedding breakfast and 70 for a standing reception. Intimate, glamorous and grown up is how Home House describes itself, and we wholeheartedly agree! It is everything that a London wedding venue should be – conveniently located, stunning and with a meticulous team of planners in-house. 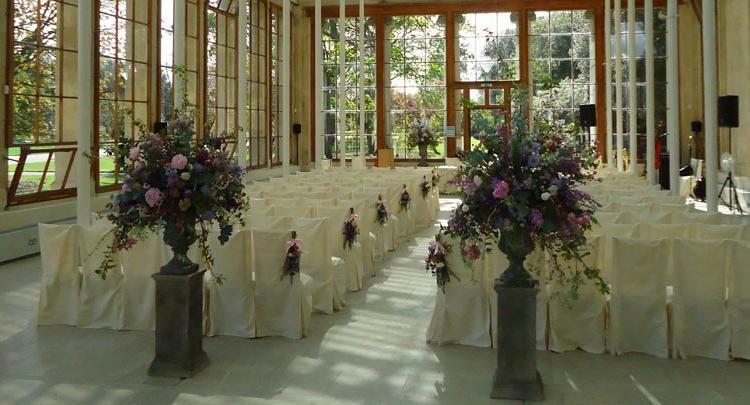 Here you can host your civil ceremony and reception in one gorgeous location. Capacity from 18-80 seated up to 250 for a standing reception. This is a hotel with a difference. If you want contemporary urban glamour or fairy tale magic, Town Hall Hotel is the venue for you. Apart from the spectacular choice of rooms for the ceremony and reception, they also boast exciting food prepared by some of Britain’s finest chefs, so no need to worry about boring food here! Capacity ranges from 10-100 for a seated dinner, up to 150 for a standing reception. This one is perfect for celebrations, combining Victorian grandeur with modern events spaces, plus a roof terrace. What’s more, they have 41 boutique bedrooms onsite too. The penthouse staterooms Euston and Stephenson combined with the roof terrace offers a really unique setting in central London. Capacity up to 160 seated, 230 for a standing reception. 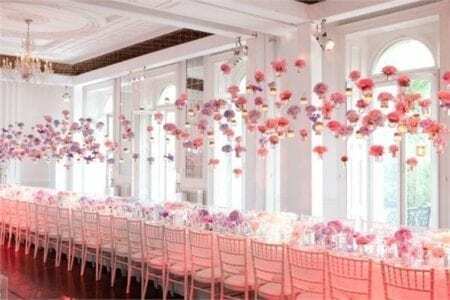 A city chic wedding with a difference! 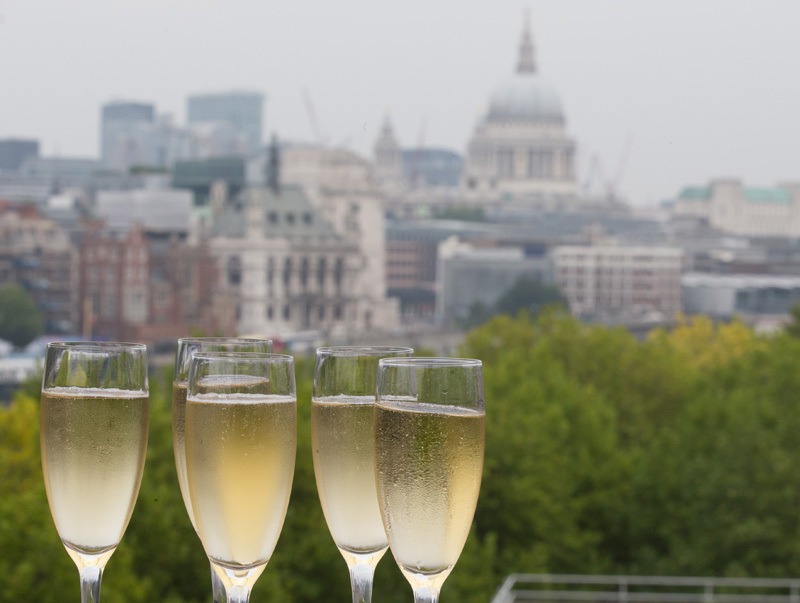 Licensed for ceremonies and with a view to die for over the Thames from their private outdoor terrace. 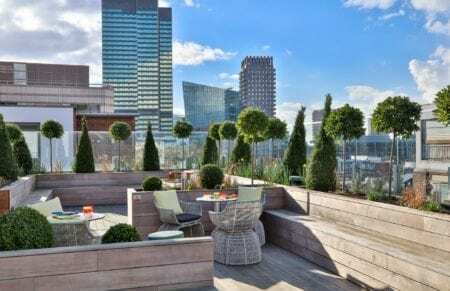 The Deck has three wedding packages which are tailored to suit your needs – Modern Minimalist, City Chic and Elegant and Artistic. You can take your pick! Capacity 80 seated, 120 for a standing reception. This is not central London, but could pass for Greater London. 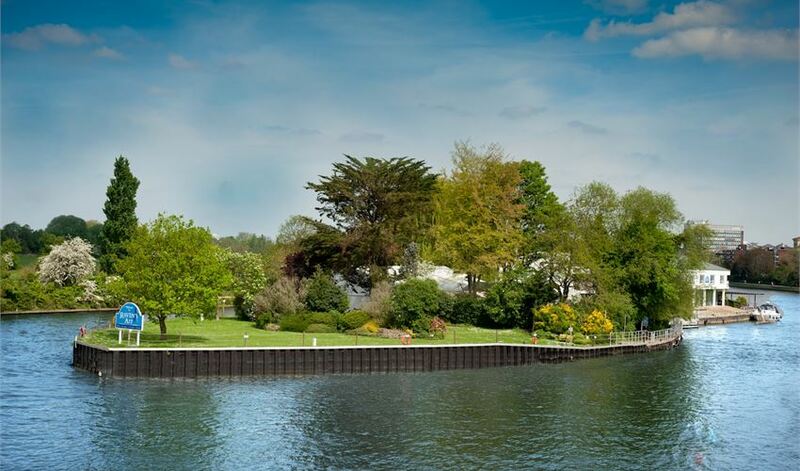 Your own island on the Thames for the day. Sounds perfect? Ravens’ Ait is between Kingston upon Thames and Surbiton with views across the park to Hampton Court Palace. Ideal for bespoke wedding using either the indoor or outdoor spaces. Capacity up to 300 seated, 400 standing reception. For all garden lovers, where better than Kew Gardens? You can choose the delightful Cambridge Cottage with it’s own private garden, or the more elegant Nash Conservatory or the Orangery. Any event held at Kew helps to support their vital plant conservation and also their scientific research work. But this is a famous store I hear you say. Yes, it most certainly is, but it is also available as a wedding venue and what’s more, they can offer delicious wedding cakes! 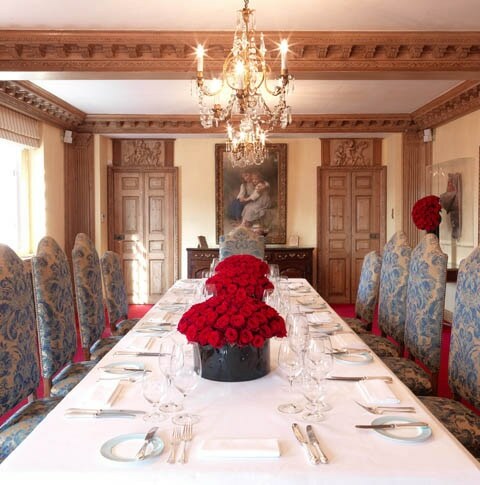 They have four private dining spaces and four restaurants available for exclusive use. Capacities from 4-60 seated. 80 standing reception. If you would like more information on any of these amazing venues, please get in contact with us and we will be very happy to help.